Three-time winners Dario Franchitti and Helio Castroneves and four IZOD IndyCar Series champions are among drivers named to 33 entries filed for the 97th running of the Indianapolis 500, scheduled for Sunday, May 26, at Indianapolis Motor Speedway. Franchitti and Scott Dixon of Target Chip Ganassi Racing and Castroneves of Team Penske are former winners assigned to cars for “The Greatest Spectacle in Racing.” Franchitti is the reigning event champion and also won in 2007 and 2010. Castroneves won in 2001, 2002 and 2009. This is the first year since 1987 in which two drivers with three victories will try to join one of the most exclusive clubs in worldwide motorsports – four-time winners of the Indy 500. Franchitti and Castroneves are attempting to become just the fourth four-time winner of the race, joining A.J. Foyt Jr. (1961, 1964, 1967, 1977), Al Unser (1970, 1971, 1978, 1987) and Rick Mears (1979, 1984, 1988, 1991). IZOD IndyCar Series champions assigned to cars include reigning champ Ryan Hunter-Reay of Andretti Autosport; Franchitti (2007, 2009, 2010, 2011); Dixon (2003, 2008) and Tony Kanaan (2004) of KV Racing Technology. Four-time Champ Car champion Sebastian Bourdais also is entered in a Dragon Racing car. Thirty-two drivers have been named to the 33 entries filed this year. Chevrolet engines will power 17 entries, Honda 16. All entries use Dallara chassis and Firestone tires. The 97th Indianapolis 500 is scheduled to start at noon (EDT) on the historic 2.5-mile oval. It will be the first oval race of the 2013 IndyCar Series season. ESPN on ABC, the IMS Radio Network and Sirius XM 211 will broadcast the race live starting at 11 a.m. Opening Day is scheduled for Saturday, May 11. Seventeen of the 32 drivers named to entries have won at least one race in either the IndyCar Series or Champ Car World Series/CART competition. In addition, four rookies with impressive credentials are assigned to cars. AJ Allmendinger won five Champ Car races from 2004-06 before turning to NASCAR. Tristan Vautier is the reigning Firestone Indy Lights champion, while Carlos Munoz has won two of the first three Firestone Indy Lights races this season and leads the championship. Conor Daly, of Noblesville, Ind., won the 2010 Pro Mazda Championship Presented by Cooper Tires, won in 2011 at Long Beach in Firestone Indy Lights and won a race in 2012 in GP3, one of the ladder series for Formula One. Talent that recently advanced through the Mazda Road to Indy ladder system also has been assigned to cars, including three Firestone Indy Lights champions _ JR Hildebrand (2009), Josef Newgarden (2011) and Vautier (2012). Other recent Firestone Indy Lights graduates on the entry list include Marco Andretti, Ana Beatriz, Ed Carpenter, Daly, James Hinchcliffe, Charlie Kimball, Pippa Mann, Munoz, Graham Rahal and Sebastian Saavedra. Three women are among drivers named to entries _ 2010 Chase Rookie of the Year Simona De Silvestro, Beatriz and Mann. Andretti Autosport is involved with five entries, more than any other team. Andretti Autosport is fielding cars for Andretti, Beatriz, Hinchcliffe _ a two-time race-winner this season _ and Hunter-Reay. Team Venezuela/Andretti Autosport/HVM has entered a car for E.J. Viso. Former race-winners (3): Helio Castroneves (2001, 2002, 2009), Dario Franchitti (2007, 2010, 2012), Scott Dixon (2008). Former pole-winners (5): Helio Castroneves (2003, 2007, 2009, 2010), Ryan Briscoe (2012), Tony Kanaan (2005), Scott Dixon (2008), Alex Tagliani (2011). Rookies (4): AJ Allmendinger, Conor Daly, Carlos Munoz, Tristan Vautier. 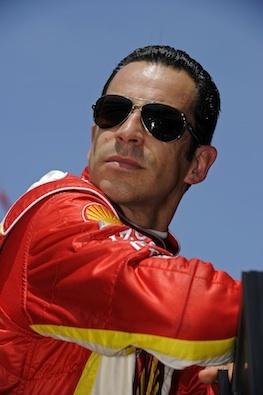 Most previous starts: Helio Castroneves, 12. Sixty-six (66) cars entered. All cars use fourth-generation IZOD IndyCar Series Dallara chassis (IR-12) and Firestone tires. (R) _ Denotes Chase Rookie of the Year Candidate. (W) _ Denotes Indianapolis 500 winner. Tickets are on sale for the 97th Indianapolis 500 on Sunday, May 26, at IMS. Race Day ticket prices start at $30. Fans can buy tickets online at www.ims.com/tickets, by calling the IMS ticket office at (317) 492-6700, or (800) 822-INDY outside the Indianapolis area, or by visiting the ticket office at the IMS Administration Building at the corner of Georgetown Road and 16th Street between 8 a.m.-5 p.m. (EDT) Monday-Friday. Children 12-and-under will be receive free general admission to any IMS event in 2013 when accompanied by an adult general admission ticket-holder. Tickets for groups of 20 or more also are on sale. Contact the IMS Group Sales Department at (866) 221-8775 for more information.